Kenya is home to some of the most beautiful scenery and wildlife which god has placed on this green earth. I write this article as an attempt to shed some light on some of the destinations in Kenya that will change your very understanding of beauty. This is quite a unique national park. How? Well unlike the other national parks in Kenya, in Hell’s gate tourists are allowed to ride or walk through most parts of the national reserve without a tour guide. This is largely due to the rather small number of game present in the park making it easily manageable. It feels so much more than just a safari as there are no windows or doors blocking your view. It is truly a great experience. You definitely need to climb this beauty or at least try to. 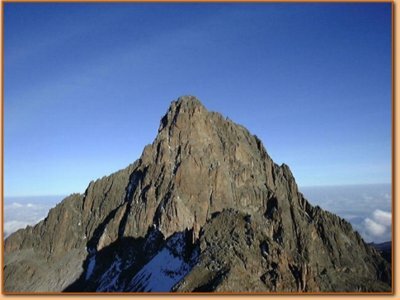 Mount Kenya is the second highest mountain in Africa, second only to Mount Kilimanjaro of Tanzania. Its highest peak is Batian which measures to about 5,199 meters in height. The forests surrounding the peaks are truly beautiful. There isn’t much wildlife up here but you may glimpse the occasional buffalo once in a while. Mount Kenya offers the opportunity of looking at some truly spectacular scenery. Lake Nakuru is a shallow lake and is considered to be one of the best places to see flamingoes. 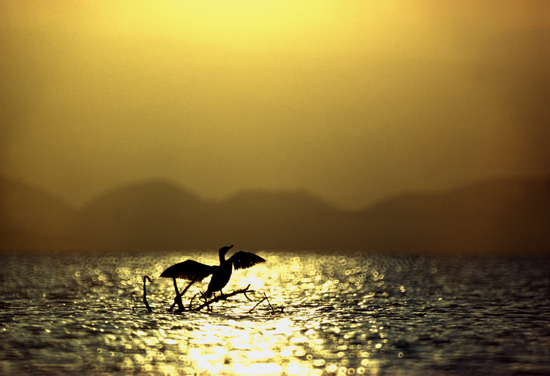 This exquisite bird species flocks at the lake in millions. But that’s hardly the only thing to see, Lake Nakuru national park also has a population of the rare white rhinos. And it also happens to be a great place to enjoy an amazing camping experience. Amboseli National Park not only offers great game viewing but breath taking views of iconic Mount Kilimanjaro as well. Amboseli is an area of low scrubby vegetation and open grassy plains, all of which makes for easy game viewing. Accommodation is available in Amboseli in the form of several luxury safari lodges and you'll explore the park on game drives, horse-back safaris and guided nature walks. The park is famous for being the best place in Africa to get close to free-ranging elephants among other wildlife species. Other attraction of the park includes opportunities to meet the Massai people. Lake Naivasha is freshwater lake, fringed by thick papyrus.Much of the lake is surrounded by forests of the yellow barked Acacia Xanthophlea - the yellow fever tree. These forests abound with bird life, and Naivasha is known as a world class birding destination. Giraffes wander among the acacia, Buffaloes wallow in the swamps and Colobus monkeys call from the treetops while the Lakes large hippo population sleeps the day out in the shallows. The region surrounding the Lake is well worth exploring. There are two smaller lakes nearby, Oloidien, and Sonachi, which is a bright green crater lake. A vibrant and intimate little paradise on the quiet shores of the Indian Ocean just south of Mombasa in beautiful Kenya; which incorporates Incorporating Tiwi Beach, Galu Beach, Chale Island,Funzi Island, Msambweni and Kinondo. Nairobi National Park is unique by being the only protected area in the world with a variety of animals and birds so close to a capital city. The park is a principal attraction for visitors to Nairobi. The Joint mass of Tsavo West and Tsavo East National Parks forms one of the largest National parks in the world and covers a gigantic 4% of Kenya’s total land area. The slightly larger Tsavo East is generally flat, with dry plains across which the Galana River flows. Other features include the Yatta Plateau and Lugard Falls. The Park is home to most of the larger mammals, vast herds of dust –red elephant, Rhino, buffalo, lion, leopard,and pods of hippo, crocodile, and waterbucks, Lesser Kudu, Gerenuk and Hirola. Massai Mara is situated in south-west Kenya and is one of Africa’s Greatest Wildlife Reserves. Together with the Serengeti National Park in Tanzania it forms Africa’s most diverse, incredible and most spectacular eco-systems and possibly the world’s top safari big game viewing eco-system. The best time to visit is between July and October when the wildebeest and zebra are at their highest number and offer plenty of food for lions, cheetahs, and leopards. The perfect game is seen at dawn or dusk as at this time most predators come out to hunt. Visit Kenya (But, before that get yourself equipped with a handy travel guide ), where nature resides.